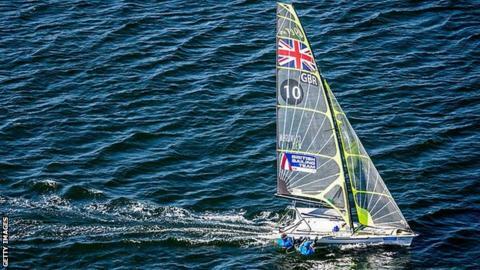 Britain's world number three-ranked pair John Pink and Stuart Bithell claimed bronze at the 49er European Championships on Saturday. The duo, runners-up 12 months ago, finished fifth overall but were the third European crew home in Barcelona to earn their first podium of 2016. "It's always nice to step on a podium, but there's still plenty of work to do," said Bithell. The Great Britain crew for the Rio Olympic Games is still to be selected.